What is the Goliath in your life? I heard this message Sunday in church and although it touched me a lot, I just felt the time was not right to share it with you. Then I watched Joy.ce Mey.er’s TV program and she talked about it in her message too. So I guess the time is right after all. Goliath was huge – a giant, in my Bible it says he was 3 meters tall. Everybody was afraid of him. He gave the Israelites a challenge: they must elect somebody to fight him. There weren’t many volunteers, even though Saul the king promised his daughter as wife and some other privileges if somebody could defeat Goliath. 1 Samuel 17: 23-25 (NIV): “23 As he was talking with them, Goliath, the Philistine champion from Gath, stepped out from his lines and shouted his usual defiance, and David heard it. 24 When the Israelites saw the man, they all ran from him in great fear. 25 Now the Israelites had been saying, Do you see how this man keeps coming out? He comes out to defy Israel. The king will give great wealth to the man who kills him. He will also give him his daughter in marriage and will exempt his father’s family from taxes in Israel.” The task was so daunting that there was only 1 person interested in defeating Goliath and that was David. But David did not rise to the challenge because of the promises of Saul. He was not interested in the reward. He was upset because of the way Goliath spoke of the Israelites and of God. 1 Samuel 17: 26 (NIV): “26 …Who is this uncircumcised Philistine that he should defy the armies of the living God?” & 1 Samuel 17: 36 (NIV): “36 Your servant has killed both the lion and the bear; this uncircumcised Philistine will be like one of them, because he has defied the armies of the living God”. Do you trust God when you are doing ART? I was speaking to a lady from our church a while back. She asked me if we had any children, so of course the answer was no. It was last year sometime while I was doing my 6th or 7th IUI. So she asked why we did not have any children. I felt I had to answer her honestly, so I said we have some problems, and that we have tried many treatments, but that I’m in a happier place as I’ve handed my infertility over to God, and that I trust that He will do what he believes is right, and that we are in the process of doing another IUI. Her next comment completely floored me – She said: “Isn’t it weird that we are quick to hand our problems over to God, but just as quick to take it back?” She implied that I took it back from God because I was having treatments, but that was not how I was seeing it at all! I trusted that God had moved us on to the path of fertility treatments as a way of getting pregnant. I was not only expecting a miracle pregnancy, without medical intervention, but I also believe that God can work through doctors and through medical procedures and with the help of medicine. Please do not understand me wrong – I do believe miracles can still happen without medical intervention, and I was certainly hoping for one like that for us, but like I said I believe God can perform miracles through doctors too, and I felt that He would decide which miracle it would be for us! At another time other friends of ours from church once told us that it is wrong to go for treatments like acupuncture, as it is a traditional Chinese medical procedure, and as such not based on Christian practices or principles. We did not get into an argument with them, as we felt it is not worth it, and we valued our friendship too much. We decided to agree to disagree. You see I’ve had severe problems with a Sciatic nerve pinching me in the past and I was in a lot of pain for about six months and the only thing that helped in the end was acupuncture. Now I thought – what if the Chinese invented operations? Would that also have been wrong and could you never go for an operation, even if it is life threatening? Or for that matter any form of treatment that we see as western medicine? This argument made me think about our fertility treatments – my one FS is not a Christian, I know that for a fact, but how many of my previous doctors that ever treated me were Christian? None of them as far as I know, because none of them ever spoke of Jesus or God. How can we ever know exactly what someone’s religious beliefs are? I’ve known people who said they were Christians, yet they do not act like Christians… If we want to argue like that then we need to make sure that we only deal with Christians in every aspect of our lives, and that is totally impossible. You cannot just deal with Christians, and that is certainly not what Jesus advocated! If you read the New Testament he was always with the sinners, the people that nobody wanted to be with, but those that needed Him the most! I certainly believe that it is not Jesus’ will that we isolate us from non-Christians. How will we ever be able to lead anyone to God if we were like that? I’ve learnt in the past few years that you should always go back to God’s word, if you want to know what He wants you to do. Now there were no fertility treatments or anything similar in the Bible that I could find, so we had to try and use logic, to deduct what we thought was God’s will. I had quite a debate with myself, and even with my DH and in the end we decided that we believe that it is God’s will to work through doctors, even doctors that are not Christian, and that God would not have allowed us humans to develop medical procedures like IVF and IUI if it was not His will. If it was not His will those procedures would not be successful! 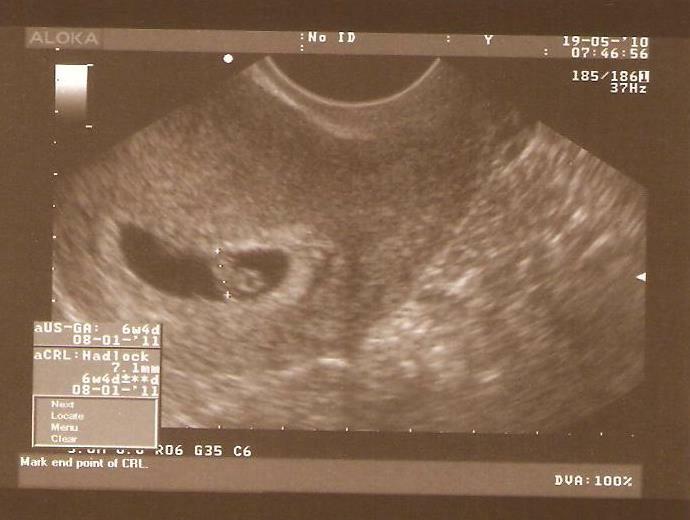 We decided that we will still glorify His Name and give our thanks to Him, if I should get pregnant, because we will still see it as a miracle from Him! What do you think? Did I take my infertility back from God as soon as I handed it over to Him? Did we not trust in Him because we did IUI and IVF? I do not think so, and the one thing that makes me so sure about it is the fact that I am finally pregnant with the help of a non-Christian doctor and IVF. I really do believe it is still a miracle from God! I realize I might have stepped on some toes here, as I know for instance that the Roman Catholic Church does not advocate all fertility treatments, but I would really love some comments from everybody on their opinion on this matter. It certainly seems that there are people from every church (definitely from our church) that believe that we must just trust in God and not do fertility treatments. I’m not easily offended – that’s another lesson I’ve learnt, and I certainly respect other’s opinions, so please feel free to voice your opinion!